In mostly white classrooms at many universities, Amiri Baraka’s poems are assigned in brief, dramatic portions. This, at least, was my experience. A student might read “Black Art,” a poem that agitates easy classroom conversations about what a poem can say, want and do with its vivid amplification of a black united front in the wake of the assassinations of Dr. Martin Luther King, Jr. and Malcolm X. The poems in Baraka’s first collection, Preface to a Twenty Volume Suicide Note (1961), present a teachable narrative of dissatisfaction and resistance to the white hegemony of the American poetry scene, whether Beat, Black Mountain, Bay Area or New York School. 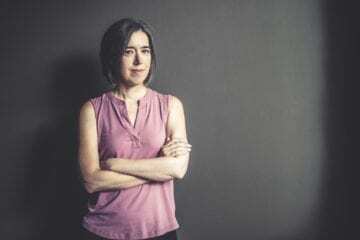 A teacher might explain that Baraka left his white, Jewish wife and moved to Harlem in 1965, abandoning the name LeRoi Jones and organizing the Black Arts Repertory Theatre School. The conversation might end by mentioning that Baraka’s term as Poet Laureate of New Jersey was cut short after his poem about 9/11, “Somebody Blew Up America,” was accused of being anti-Semitic. 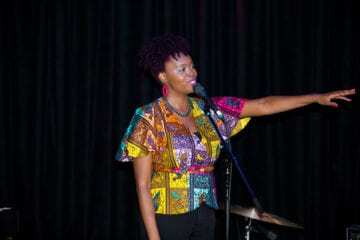 For the most part, these are the institutionally sanctioned touchstones of Baraka’s influence on American poetry. This bookending of Baraka’s life stands as stark evidence of what Ishmael Reed calls Baraka’s “literary mummification in 1965.” If not intentionally reduced for inclusion on a syllabus, approaching Baraka’s work in this way still undercuts his seminal achievements as a writer, scholar and activist. At its worst, this abridged narrative casts the perceived “anger” in his poems as a trope for the Black Arts and Black Power movements as a whole, allowing vague, irresponsible portrayals of black nationalist, Pan-African and other neocolonial politics and aesthetics to persist. 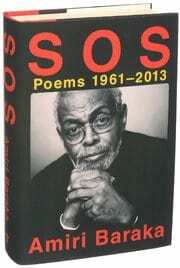 The posthumous collection of Amiri Baraka’s poetry, SOS: Poems 1961-2013, shows how much necessary movement his poems generate beyond the classroom narratives that cite him. As Baraka writes in “In the Tradition,” a long poem published in 1982, “cancel on the english depts this is america,” and SOS embodies what that refusal can mean. “I think about a time when I will be relaxed,” the speaker posits in “Three Modes of History and Culture” from Baraka’s 1969 collection Black Magic, acknowledging the endless microaggressions of policed black life in America, what poet LaTasha N. Nevada Diggs has called “chronic whiplash.” But how does such a peaceful moment come when, as Baraka writes in “Das Kapital,” “everywhere / is the death scene”? The impossibility of this tranquil lyric aesthetic in Baraka’s work is not a loss, but an imperative denial of poetry that accepts “a bibliography / of bitter neocapitalists or bohemian / greys” and “money, the articulate stuffing” as markers of success. Baraka’s work was never only literary as his lifelong work as an activist against systemic oppressions of all kinds, in the service of all people, attests to. 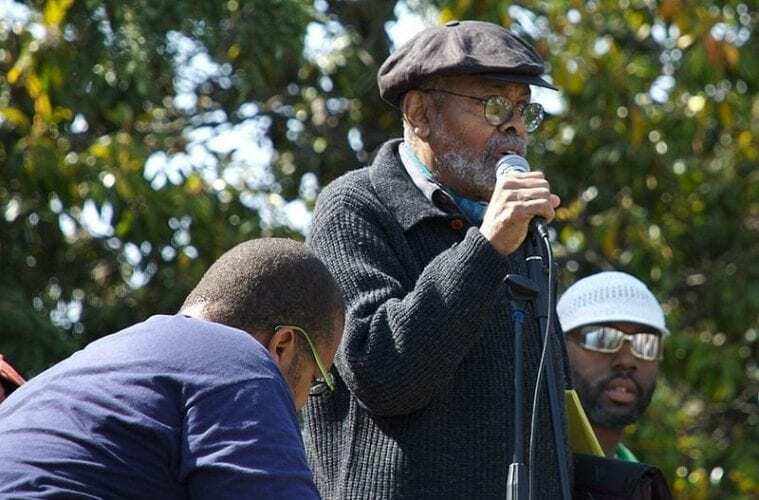 Locally, Baraka’s organization of the first meeting of the Congress of Afrikan People in Atlanta in 1970, at which he read his call to collective action “It’s Nation Time,” marks an important moment in his career and the organization of black nationalist and Pan-African movements nationally. “I cant say who I am / unless you agree I’m real,” Baraka attests in “Numbers, Letters,” echoing the denial of black life and citizenship that Black Lives Matter continues to protest against.